Senior election officials in Papua New Guinea's capital were detained by police for potential corruption, just hours after polls scheduled for Tuesday were deferred in the latest upheaval in chaotic elections. The elections manager of the National Capital District, Terrence Hetinu, was being interrogated at Boroko police station on Tuesday afternoon, the police commander said, after he was found with cash and a signed document between him and an unnamed candidate. The commander, Sylvester Kalaut, told a news conference that Mr Hetinu had US$57,000 cash in his official vehicle, which he said was to pay polling officials' allowances. The Electoral Commission said on Monday, before the arrests, that it pays allowances directly to bank accounts, not in cash. 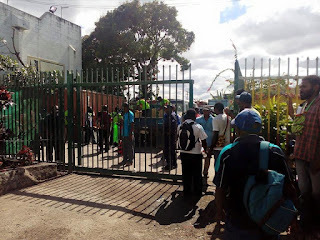 RNZ Pacific's correspondent, Rose Amos, who was at the conference, said Mr Kalaut also confirmed another bout of arrests earlier on Tuesday, after officials were found smuggling ballot papers out of the provincial elections office. One of those officials was the assistant returning officer for the National Capital District, Roselyn Tobogani. At least one of the officials was found with a large amount of cash. Ms Amos said 16 election officials were in police custody on Tuesday afternoon. "One of the officials arrested is Mr Hetinu's assistant election manager," Ms Amos said. "So yeah, currently they are questioning and investigating these incidents." 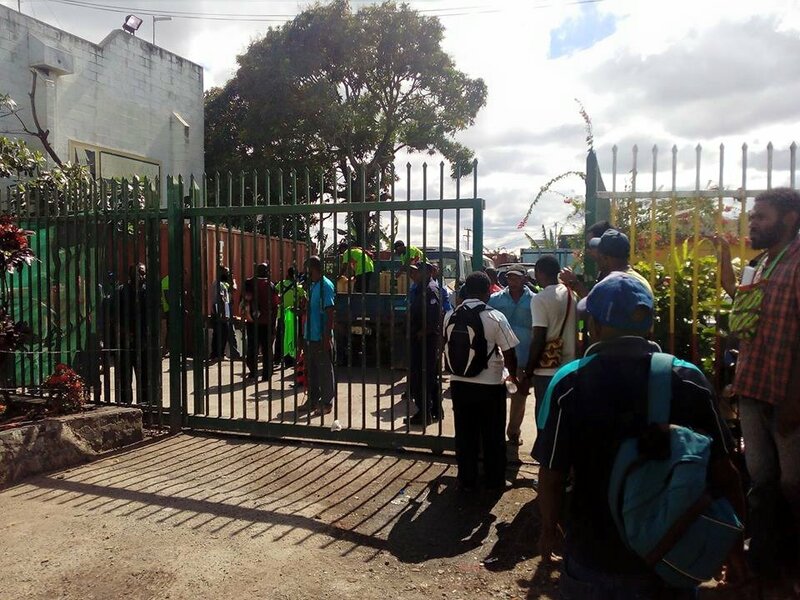 The chaos of Tuesday afternoon came only hours after the electoral commission announced that polling in the national capital had been deferred to Friday. Voters had already begun turning up to the city's polling places on Tuesday morning when the announcement was made. The commission said polling for all three of the capital district's open electorates and the provincial electorate were deferred because of an issue with campaign allowances for polling officials. The deferral came amid complaints about persistent problems with the electoral roll and changes to the schedule since polling for the national election began on Saturday in other parts of PNG. However, the failure yesterday to conduct scheduled polling in three Highlands provinces came as a sign that the Electoral Commission was under growing pressure, and on Tuesday, a group of candidates petitioned the Electoral Commissioner to resign immediately. One of the candidates, former prime minister Sir Mekere Morauta, urged the commissioner, Patilius Gamato, to be accountable for the chaos that was being created. At a news conference in Port Moresby as news of Mr Hetinu's arrest broke, Sir Mekere said the election was being rigged and it was about more than just the widespread problems with the electoral roll. "We now have caught electoral officers with loads of money and boxes in Moresby already and this an example of what is planned to happen," he said. "As Moresby candidates, we have petitioned the commissioner to stand down."